First it was the oil crisis in the 1970s. Then it was minivans followed closely by SUVs. More recently it was the crossovers that look like SUVs but drive more like a car and don’t like it when the wheels aren’t on solid pavement. We are talking here, of course, about what killed the station wagon -- almost. Before there were such things as minivans for soccer moms to drive, there were station wagons, big, lumbering vehicles that New York Times writer Joe Lorio once described as “wallowing land arks.” Think of the “Wagon Queen Family Truckster” that Clark Griswold (Chevy Chase) took the family to Wally World in in National Lampoon’s Vacation. But it wasn’t just their looks and awkward handling that was behind the station wagon’s demise in the U.S.market. No, it’s what the station wagon represented, which was the arrival at an age and stage in life many of us really weren’t in a hurry to get to. Basically, adulthood and the end of the freedom of youth. For guys who grew up idolizing Muscle Cars, getting behind the wheel of a station wagon was a form of vehicular castration. Might as well eat quiche for dinner. And so the traditional U.S. manufacturer -- GM, Ford, Chrysler -- did what one does with a lame horse. They put the station wagon out of its misery. With the exception of Dodge, which gave the Magnum a four-year trial that ended in 2008, and Cadillac, which introduced the CTS Wagon a couple of years ago, the domestic manufacturers dropped out of the Wagon segment. So much did U.S. automakers want to avoid the stigma that came with the image of that station wagon that even when they launched one, they refused to call it that. I’m thinking here of the Ford Flex. Ford bills it a crossover, but slap a couple of pieces of wood on its sides and the Flex would be hard to tell apart from one of the woodies from the 1940s and ’50s. There is no mistaking the Swedish automaker’s XC70 for anything but a station wagon in the truest traditional sense, no disguising its boxy profile for anything but a true wagon. Now in its third generation, the company says the 2012 XC70 is “more refined than ever,” and I would be inclined to agree. The interior matches the quality of Volvo’s upgraded S60, which I will get into a little later. The feel of the steering wheel, with its soft yet firm leather, and the soft leather seats provide for one of the most comfortable riving experiences you can have. There is plenty of technology available, including the company’s Pedestrian Detection system that gives the driver a warning to alert the driver to the presence of pedestrians in front of the car and can even stop the car if the driver fails to take action. I first saw this demonstrated at an introduction of the S60 a couple of years ago and it does work, at least at slower speeds. Being a Volvo, it has plenty of other safety features. After all, safety is one of the first, if not the first, things that comes to mind when you think of Volvo. What you might not associate the Swedes’ product is its performance. Under the hood of the XC70 you will find either a 3.2-liter normally aspirated in-line six-cylinder engine or a slightly smaller inline six that is turbocharged. I can’t speak to the difference in performance because I didn’t drive the 3.2 version, but I was impressed with the throttle response I got when I pushed the T6. It made me forget I was driving a wagon. But the difference becomes obvious when you look at the numbers. The T6 puts out 300 horsepower and 325 pound-feet of torque. Numbers for the 3.2 are 240 and 236, respectively. a significant difference when you’re lugging around more than two tons of vehicle. Not surprisingly, that extra power does come at a cost in fuel mileage. The T6, which has standard all-wheel drive, is rated at 17 miles per gallon city, 23 highway. The 3.2 got ratings of 19/18 city and 25/24 highway depending on whether it was a front-wheel or all-wheel drive model. Oh, yeah. Both engines drink regular gasoline and are mated with a six-speed automatic Geartronic transmission that allows for manual selection of gears. Pricing for the 3.2 version of the XC70 starts at under $33,000. For the T6, the price tag starts at under $40,000. One other thing. In case you were wondering, the XC in XC70 stands for “Cross Country,” and, though it is not designed for heavy off-road maneuvers, the XC does have a ground clearance of 8.3 inches and can handle rougher terrain a better than any of the crossovers on the market. Which brings us to the S60. You probably have seen the commercials for the latest generation of Volvo’s most popular sedan. It is a quite a looker. Volvo calls the S60 “the sportiest Volvo ever,” which a little over a decade ago wouldn’t have being saying a helluva lot. Through the 1990s Volvo cars represented safety, durability, safety, value, safety, and practicality. Oh. Did I mention safety? Looks? Not so much. The sedans used to be as boxy as the wagons. Well, beginning with the introduction of the C70 in the late 1990s, Volvo began to step it up in the design department. As well as durability and safety, the company began putting out cars even teenagers wouldn’t be ashamed to be caught behind the wheel of. 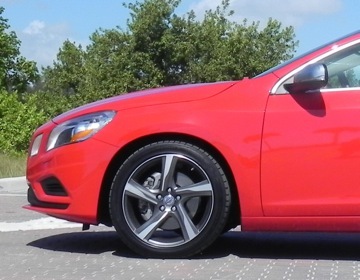 The 2012 S60 continues that trend. It looks great, both inside and out. The exterior profile is couple-like with its sleekness. The use of high-quality materials throughout the interior makes for a classy, comfortable ambiance for both driver and passenger. Ward’s AutoWorld rated the interior as one of the 10 Best available today. As with the XC70, the S60 has a lot of technology options, but their operation doesn’t require the skills of a computer tech or savvy 12-year-old. Simply push clearly marked buttons for such functions as audio, navigation, or climate, and the proper image appears on the screen. Then turn the appropriate knob to get the desired result. The S60 comes in three versions for 2012, all with turbocharged power and all mated with a six-speed automatic transmission. All also used regular octane fuel. Both the other two models are AWD. The T6 has a 3.0-liter inline six with hp and torque figures at 300 and 325, respectively. Zero-to-60 time is 5.8 seconds. The T6 R-design starts at just over $43.000 including destination and delivery, the T6 at under $36,500. The T5, the baby of the group, starts at under $31,500. With the S60, Volvo has put out a legitimate competitor in the entry-level luxury field both in looks and performances as well as price. With the XC70, the company has much less competition. In the interest of full disclosure, I should point out that when it comes to convertibles, I pretty much like them all. There may be some I like better than others, yes, but just about any time I’m in one, I’m having a good time. Unless it’s raining and I have to keep the top up. Then it’s a bummer. I even found some good things to say about the old Chrysler Sebring, which past reviewers have found fault(s) with. I didn't like the way the top operation worked, and it wasn’t all that great a performer, but I still had fun. So it shouldn’t come as a big surprise when I tell you I had a great time driving the new 2012 Audi A5 convertible. The 2.0-liter four-cylinder engine can be mated to CVT (continuously variable transmission), a six-speed manual, or an eight-speed automatic with either front-wheel or all-wheel drive. But even as a relative fuel-sipper (perhaps not by tree-hugger standards but we’re living in the real world here), the A5 pumps out 211 horsepower and an impressive 258 pound-feet of torque at a relative low 1,500 rpm. The zero-to-60 time is 6.7 seconds for the model I happened to have, which had the eight-speed Tiptronic transmission and all-wheel drive, which Audi labels quattro. The result was that when I pushed it around a corner from a standing start, I not only got around it in very quick fashion but with such assurance it was like the car was on rails. I had the feeling I could push it a lot further if I desired, but not knowing what blue-light special might be around, I didn’t desire. Even with that kind of performance, the A5 provided the kind of comfortable ride you get from more high-end luxury models designed to coddle, not challenge, the driver. Besides the ride and handling and overall luxury features in the impressive cabin, one thing that impressed me was the operation of the top. Practically all manufacturers, at least those putting out luxury droptops, have installed one-touch lower/raise operations for the roof. What impressed me about Audi’s was the gentle way the top secured itself as it closed. There wasn’t the loud “clunk” when the top came down on the windshield frame that I have experienced on some other makes. A small thing, but the kind of attention to detail that one should expect, no demand, when shopping in the luxury segment. The entire operation, raising or lowering the top, took in the neighborhood of 15 seconds, and one nice feature, especially if you are living in a place where a shower can come up even when no obvious clouds are overhead, is that you can raise or lower the top while moving, at speeds of up to 30 mph, according Audi. There is also an little indicator light in the center of the instrument panel that informs you when the operation as been completed. The top, by the way, is not a full hardtop that has become popular in recent years but is of the soft variety. But with its extra cushiony thickness, the A5 still is a relatively quiet vehicle when driving with the top up, and because it is a soft top, you don’t lose as the trunk space you do with the hardtops lowered. I mentioned a $45,000 starting price, which is pretty astounding for a vehicle of this quality. But the options do add up quickly. The MSRP for my test model was $45,575 including the destination charge, but by the time the option packages that added such features as navigation system, upgraded sound system, perforated Milano leather upholstery, three-zone climate control, LED daytime running lights and taillights, and much more, the total came to $55,655, which is more the figure I expected when I saw it for the first time. Oh. A word or two here about Audi’s MMI Navigation Plus system, common throughout the lineup, not just on the A5. You operate not only the navigation system but other functions like the audio and climate systems off a control knob in the center of the console. It can take some getting used to because you must push the correct button so you get the desired function when you turn or press the knob. (You also have to do something similar with the knobs when adjusting the blower or temperature control on the center stack. But it’s not really as complicated as it sounds here. I have seen other systems certainly more befuddling. Frankly, if I can get the hang of it, just about anybody can. Some might find it even fun to operate, kind of like driving with the top down. The other day I was driving south on I-75 in a 2012 Jaguar XF. Nobody was right behind me and with a couple of trucks coming up ahead of me, I moved to the left lane. Before I moved past the trucks, however, one of the semis pulled out to pass the other. No big deal. I slowed slightly and settled in to wait for him to complete his pass. Then I happened to glance in my rearview mirror and saw that a pickup had come up quickly behind me. In fact, it was so close behind me that the pickup’s grille -- it was one of the big models -- filled my entire mirror. I also could tell from the hand actions of the pickup's driver that he was upset that he had had to slow for both the semi in front of me and, well, me. He was so close it was like he was getting ready to bump draft me a la NASCAR style. I tapped lightly on my brakes, just enough to illuminate the brake lights, so maybe that would give him a hint to move back just a little, but, of course, that got no response. So I just hoped there wouldn't be any reason for either me or the semi in front of me to stop so that pickup would overrun my back end. After a few seconds, the semi in my lane eventually completed its pass and moved back into the right lane, leaving me with clear road ahead in the left. And so, with the pickup on my tail in mind, I gently pressed my right foot down on the accelerator and within a second or two, the guy in the pickup, whose image had once loomed so large, was a mere speck in the distance behind me. Eat my dust, as they used to say, except there wasn’t any dust. And that is why I like the kind of punch you get from vehicles like the XF, which is available with a 5.0-liter, supercharged V8 under the hood that sends 470 horsepower and 424 pound-feet of torque to the rear wheels. When you punch that throttle, by golly you’re going to get a response! Of course, there are milder versions also available. The non-supercharged V8 in the base and portfolio editions is rated at 385 hp and 380 lb.-ft. of torque. But there's also a supercharged V8 in the XFR that is rated at 580/461, respectively. It all depends whether you want to get from zero-to-60 mph in under six seconds, just under five seconds, or just over four. Ah, the choices we have to make. I liked the XF for more than its power alone, however. Though the XKR remains my favorite Jaguar, especially the convertible, the XF runs a close second for the very basic reason that it does such an excellent job of combining the styling of a coupe with the practicality of a four-door sedan. In that, it is slightly smaller than the XJ, the top-of-the-line flagship sedan in Jaguar’s present portfolio. The difference in length is six inches, 195.3 for the XF to 201.7 for the standard XJ, and the height is virtually the same -- 57.5 for the XF, 57.0 for the XJ. But those differences are enough to give the XF a more distinctive, pleasing profile, and the five-inch difference in wheelbase -- the XF is shorter -- gives it a slightly more active performance behind the wheel. Thus you’ll find the XF, which was introduced for the 2009 model year, probably a bit more appealing to a younger generation of buyers than those who go for the more established XJ, which has roots back to 1968. The XF’s driving characteristics go beyond the mere power coming from under the hood. As well as its nimble handling, the XF provides a comfortable ride that is adaptable to highway conditions like the ones I experienced on my recent weekend expedition. But you can also adjust it for a bit more excitement in its performance. The transmission features a Sport mode, which delays shifts until higher revs are reached. Or you can use the steering wheel-mounted paddle shifter to select gears. Actually, you don’t have to shift to Sport mode to do that; you may use the paddle shifters when the transmission is in Drive as well. In addition, you also may push a button on the console -- the one that looks like a checkered flag -- to put the vehicle in Dynamic mode, which loosens stability control just a bit to allow for some lateral movement and provides an overall sportier performance. With the Dynamic mode selected the transmission set for Sport mode as well, the transmission operates in full manual mode, which means you have to watch the rev limiter to make your upshifts. Of course, when it comes to comfort and styling, the XF gets high marks. One distinctive feature: the dash vents are all closed until the engine is engaged, giving the dash a clean look. When the start button is pushed, the vents rotate open and the rotary dial for gear selection rises from the console. I’ve heard some people say they don’t particularly like that rotary dial instead of the usual transmission lever, but I don’t see the big deal. Once you select Reverse, Drive or Sport, or put it in Park, you really don’t use it to change gears. When the car is in motion, the transmission is either in automatic, or you’re using the paddle shifters for manual gear selection. No problem as I see it. In accommodating and coddling passengers, the XF rivals that of its bigger brother, even though its interior volume is slightly smaller -- 113 cubic feet to the XJ’s 120. But they have essentially the same legroom up front, and the difference in the back is only a couple of inches. One of my backseat passengers did find sitting in the middle a big uncomfortable, but how often is that going to come up? 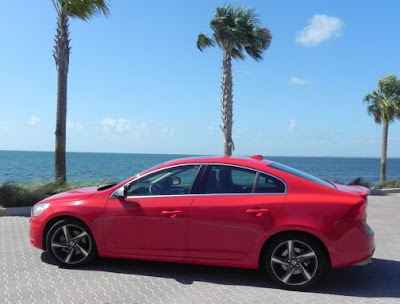 The base XF starts at just over $53,000, but from there the prices in the line rise sharply. The Supercharged version starts at $68,100. The optional packages on my test model, which included $2,300 for the upgraded Bowers and Wilkins sound system ran the total $73,065. I’m just guess that’s a bit more than that pickup that was on my tail. But the XF a lot faster, too. A SPORTS CAR WITH A CVT? HMMMMM. You’ve probably seen the commercial on TV. A guy’s wife comes to him with the news that he is about to become a father, and he smiles widely. Then it hits him. He is going to have to give up the Nissan 370Z sitting in his carport. The smile quickly fades as he hugs his wife. The next scene he is standing in his carport, looking at his Z. Then he begins to tug at the rear of the car, and it becomes larger. Another tug here, another one there, and all of a sudden he is looking at a car with a backseat. A Nissan Maxima, in fact. The point is simple. The expectant new father doesn’t have to give up anything. The Maxima is a four-door “sports car” that is both fun to drive and can accommodate his growing family. Well, my first thought about this was that it wasn't a bad commercial. At least it didn’t have me diving for the remote to change the channel when it came on. My second thought was that there are a lot of other four-door sedans on the market that like to claim sports-car cache, so Nissan isn’t exactly positioning itself in an exclusive market. -- The Maxima is front-wheel drive. -- The Maxima has a CVT. Taking on the second matter first, a CVT -- or continuously variable transmission -- essentially eliminates the shifting of gears, even automatically, because the transmission ratios are constantly adjusting to engine speed. There are no shifts to make. I have always thought running through the gears was part of what added to the sports car experience. It’s why I don’t particularly like automatic transmissions found on many high-end roadsters. What Nissan has done, however, is equip the Maxima with steering wheel-mounted paddle shifters that simulate the shifting of gears by holding the CVT at predetermined revs, depending on what “gear” you have selected. Thus if you want to hold “second gear” for quicker acceleration, you can. You can also downshift to for engine braking if you want. There are six such simulated gear ratios available. In other words, you pretty much get the same options you do in a standard automatic transmission, except with the Maxima, if you are driving in automatic mode, you gain the advantage in the fuel savings a CVT generally provides. The fact that there is not a fixed number of gear ratios also makes for smoother and quicker changes when you do use the paddle shifters. Probably the main thing you have to overcome is the odd driving impression you may get from the first few times you drive with a CVT. It has been described as feeling you when when driving a manual with a badly slipping clutch. There is no noticeable lag in the shift from first to second, second to third, etc., as in a standard automatic because, well, it isn’t shifting from first to second, second to third, etc. As I said earlier, the CVT is constantly adjusting gear ratios. So the paddle shifters and false shift points don’t make the Maxima a sports car in the purist’s sense of the word, but they do add a bit of fun back into the driving experience. Now, as for the issue of front-wheel drive. Again, no true sports car, which is designed for handling whether you take it on a track or not, is going to be FWD. Just no way. But the odds you're going to enter a Maxima in a weekend sports car club race are pretty thin, I’m thinking, so it’s probably not going to make a whole lot of difference to the average driver whether the Maxima is FWD or RWD. I didn’t have any issues with “torque steer” with the Maxima, which you get sometimes with FWD models with powerful acceleration. When it comes to everyday driving, that has the potential to be the biggest issue with FWD models. So, yeah, I think that with the Maxima that prospective new daddy just may have found a viable alternative for his growing family. There is certainly plenty to like with the Maxima, which, besides being billed as “four-door sports car,” is the flagship sedan of the Nissan fleet. The 3.5-liter V6 engine pumps out 290 horsepower and 261 pound-feet of torque, which results in decent acceleration and fuel economy in the 19 mpg city, 26 highway range. The interior is roomy and has the feel of an entry-level luxury vehicle with high-quality materials used throughout the cabin. Essentially, the Maxima is providing the kind of comfort and conveniences you might expect from the company’s luxury Infiniti line but at Nissan prices. For about the same price as an Infiniti G25 sedan with a 2.5-liter V6, you get the Maxima's 3.5-liter with its extra boost and the same quality as the Infiniti. You can get the Maxima with an optional Sport Package that among other things replaces the standard 18-inch aluminum-alloy wheels with 19-inchers and gives the SV model Maxima a sport-tuned suspension, but it’s probably not really necessary. The Premium Package has some nice upgrades, though. It adds $3,300 to the Maxima SV's MSRP of $34,450. 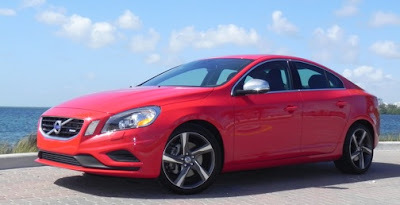 The S serves as the base Maxima and starts at $32,060, but you can’t get either the Sport or Premium package with it. In fact, the only option package on the base S model is the Limited Edition (LC) Package that includes, among other things, smoked appearance headlights, a compass in the rearview mirror, and some other design elements to give it an upgraded look. JUST SING THE SONG, PLEASE! As someone who has covered sporting events for more than 40 years and also served four-plus years active duty in the military, I have heard the national anthem sung and played for I don’t know how many times. Let’s say thousands at a minimum. Don’t give us your interpretation of how you think the song should be sung. Nobody cares what you think. We already know how it should be sung. We’ve heard it before. Don’t screech the high notes. Or any notes for that matter. If you can’t hit them legitimately (and I can’t), then get up before the crowd in the first place. And don’t drag it out. It’s not a funeral dirge. It has a somewhat lively tempo, I think, the tune having been taken from an old English drinking song. It should take about a minute-and-a-half or so. And it should go without saying, don’t forget the words. Although on that last, I must admit one of the most touching renditions of the anthem came a few years ago before a Portland Trail Blazers NBA game when a 13-year-old girl, who had a really good voice, forgot the words about two lines in. As she looked around rather embarrassed and with a what-do-I-do-now look, probably hoping the floor would open and swallow her up, Mo Cheeks, who then was coaching the Blazers, came quickly up to her side and helped her through it. It was a rather touching moment and is available on Youtube if you search for Mo Cheeks and anthem. Nobody else is excused for forgetting the words. What set me off on this, by the way, was the signing of the anthem before Monday night’s NCAA championship game between Kentucky and Kansas. Some group I had never heard of called the Fray performed it. I knew we were headed for trouble when two of the four guys who came had guitar and a third had a drum. For The Star Spangled Banner? The guy who did the actual signing wasn’t all that bad, but if I hadn’t heard his words, I never would have known what song was being played. You certainly couldn’t tell from the music. I don’t think any English drinking song was ever written for a guitar, and the guy with the drum didn’t really help either. Disaster, not of Roseanne Barr proportions, but pretty bad. Sponsors of major sporting organizations seem to be make the worst choices when it comes to selecting anthem singers before such events as the Super Bowl, World Series, bowl games, etc. Kelly Clarkson’s version at this year’s Super Bowl was pretty good, but alas, that too often is the exception, not the rule. So I have a simple suggest for event planners. Get a video and sound track of Whitney Houston’s performance before the 1991 Super Bowl and just go with that. Nobody has ever done it better. It’s available on Youtube as well. Alas, so, too is Steven Tyler’s rendition before an NFL playoff game last year. Cats fighting in my backyard have come closer to doing the anthem right than he did.